According To Google "What is High Quality Content?" What is Quality Content? How Google analyze a page and give it a tag of Quality Content? To be honest, this is the one question which is over and over again asked by site owners and webmasters. Before, Panda Algorithm update there was no concept of quality article. This is the reason why in the past it was extremely straightforward to get high SERP Ranking. However, nowadays only those sites ranked well who have highly professional quality content. Since then, almost all webmasters are searching for the accurate meaning of quality content, but the blogosphere shares a mixture of facts which confuse lots of new bloggers. For that reason, all these mind boggling questions would be answered today in this article. What is the Basic Meaning of Quality Content? 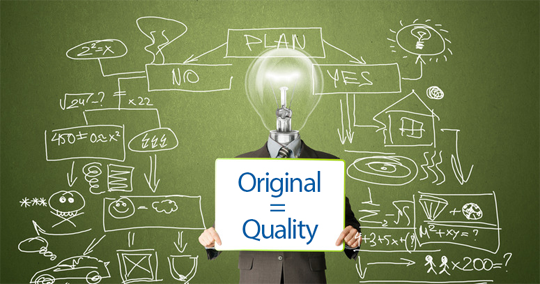 Before things get more complex, and you get more mixed up, let us first look at the basic meaning of Quality Content. A piece of work with high quality and has durable information, which is 100 percent accurate. Moreover, it is user-friendly as well as search engine friendly. furthermore, it can be simplified as an article that is worthy enough to be linked to another website, because of its professionalism. Google’s Quality Algorithm is a combination of excellence and pure skills, which help people to find more appropriate content by reducing the SERP Ranking of low quality content. 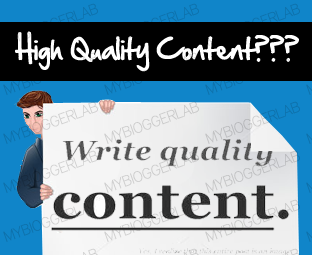 Following are the few questions which will help webmasters to measure the “Quality” of an article. According to Google, “These are the bunch of questions which we ask ourselves when we are assessing the quality of a certain website”. Since, the webmaster himself knows his website better than anyone so try to ask the following questions to yourself. Is this article written by an expert who has the most information about it? Does this website have same articles with similar or almost identical keywords? Does the article is short in length? Do you think this article has the charm to qualify to be published in a Magazine, Encyclopedia or a Book? Do You Trust the information which is listed in an article? Does this article is worthy enough to be bookmarked or shared with friends? Does this article possess supreme information, which is not available on somewhere else? Does this article have the complete information about the specific topic? Does this article is nicely written, or it has lots grammatical mistakes? Does this article is produced for readers, or it is only targeting high traffic keywords? The above questions are straight from the Google Webmaster Blog so don’t think they have minor or no importance. However, Google hasn’t revealed the entire process of measuring quality of content because they don’t want to see some people playing games with the search engine ranking. However, the information we have is enough to write professionalize content. When Google assesses a website they first look for relevancy and how many peoples are engaged in the conversation. Google’s bless those webmasters who want serious business and kick out those who write just for the sake of getting High CPC Advertisements. There are many ways though which a webmasters can easily measure the quality of his content. Consider the following ways of assessing the quality of content. A person can use multiple forums including Webmasterworld, Warriorfoum and more to get free of cost reviews from different Pro Bloggers that whether he is producing quality content or not. However, those reviews might not be so accurate, but it will give a general idea, that what other thinks about your content. Webmasters can offer a small token money to their readers who are willing to review their content. Almost all large companies use this strategy to get quick reviews about their products. It is the best way to get into the brains of your visitors and pop out what they think about the Content, whether it is worthy enough. Well, I Think if a person has a certain satisfaction that his article is supreme and has all the spice and information then no matter what other says it is of highly professional quality. Sometime I can’t understand that why people ask others to rate their work i.e. “Dude. My article is perfect, or I need to work out”. How a third person could answer that your article is of high or low quality? Try to believe in your abilities and only write on those topics in which you are an expert. This doesn’t mean that a person should not ask for reviews, but he should also believe in his abilities that he can write highly professional content. What are your thoughts about highly professional content? Suggest your personal Tip for writing professional content. Take a lot care till then, Peace, Blessings and happy publishing. very helpful article! I always find this type of quality in your articles. how do you make impressions of MY BLOGGER LAB on images! Please tell us! it can prevent piracy! Yes, Friend, I am agree with you that the quality contents should be short sentences,logical presentation.